Many people have searched for a satisfactory answer to questions like the above one. But finally they only find that they cannot play Apple DRM protected content such as movie rentals via Chromecast. An Apple TV using AirPlay would work however, streaming from either the PC or the iPad mini. But you may only have one copy of rental material, a limited time to start viewing, and a limited time to watch the whole thing once you have started. So, is there any other way to cast iTunes movies to Chromecast? 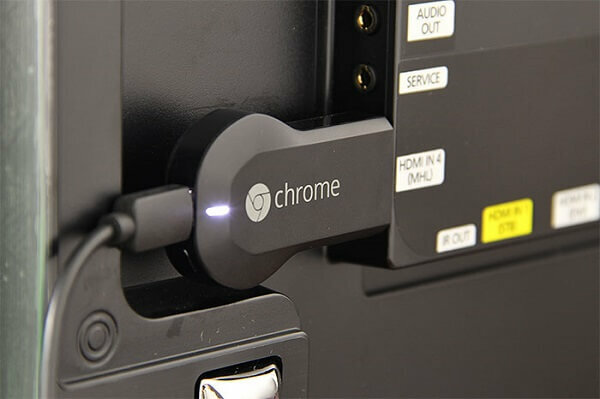 Can you stream iTunes movies on Chromecast? How to Chromeast iTunes movies? Don’t worry. You will get satisfied from this guide since we would like to explain why you can’t directly cast iTunes movies to Chromecast, and how to Chromecast movies from iTunes effectively. We will introduce you the best iTunes DRM protection removal tool to complete this. Just check below. Part 2: Why Can’t We Directly Cast iTunes Movie to Chromcast? Priced at $35, the Google Chromecast is a cheap, simple way to stream online video content right to your TV. Quite similar to Roku Streaming Stick and Apple TV, Chromecast performs as an adapter that plugs into your TV and grants easy access to multiple streaming services, from Netflix and YouTube to Hulu and Google Play. You can even throw content from your Chrome browser to the big screen. Your smartphone or computer would perform as a remote control that allows you to cast content to your TV from your iPhone or computer. 1. ▪ MP4 – .mp4 file encoded with H.264 High Profile Level 4.1 video codec and MP3/AAC audio codec. 2. ▪ WebM – .webm video encoded with VP8 video codec and Vorbis audio codec. You only need to turn your videos to either MP4 or WebM files with the above parameters for streaming to Chromecast. Then, why can’t we directly cast iTunes movies to Chromecast? We could know first that iTunes movies are not online streaming video content. This means you couldn’t directly cast iTunes movie to Chromecast. Meanwhile, iTunes movies are basically stored in M4V file format, which is not accepted by Chromecast. You have to convert iTunes movies to MP4 for streaming to Chromecast indirectly. Thirdly, all movies purchased and downloaded from iTunes Store are DRM protected, which prevents people from using iTunes movies in other ways like playing on devices and players other than Apple’s own ones. The DRM protection has been a severe block that stops you casting iTunes movies to Chromecast. If you want to cast iTunes movies to Chromecast, you need to remove the DRM protection first. The below content would show you how to do this. As discussed above, you need to firstly remove DRM protection upon iTunes movies and convert iTunes movies to Chromecast compatible MP4 or WebM files before you could cast iTunes movies to Chromecast. 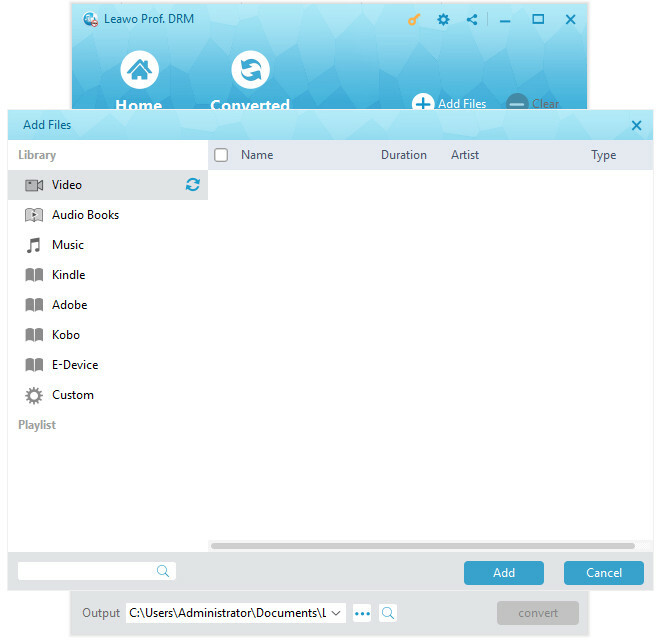 Leawo Prof. DRM is a professional iTunes DRM removal and converter tool that could remove DRM from iTunes M4V videos, and then convert iTunes M4V to DRM-free MP4 files in simple clicks. As the best iTunes M4V DRM removal software recognized by worldwide users, Leawo Prof. DRM has an easy-to-use interface, and it can retain all original audio tracks and subtitles on output MP4 file, including Dolby 5.1 surround sound. Compared with other competitors on the market, the program is 50 times faster in DRM removal process. 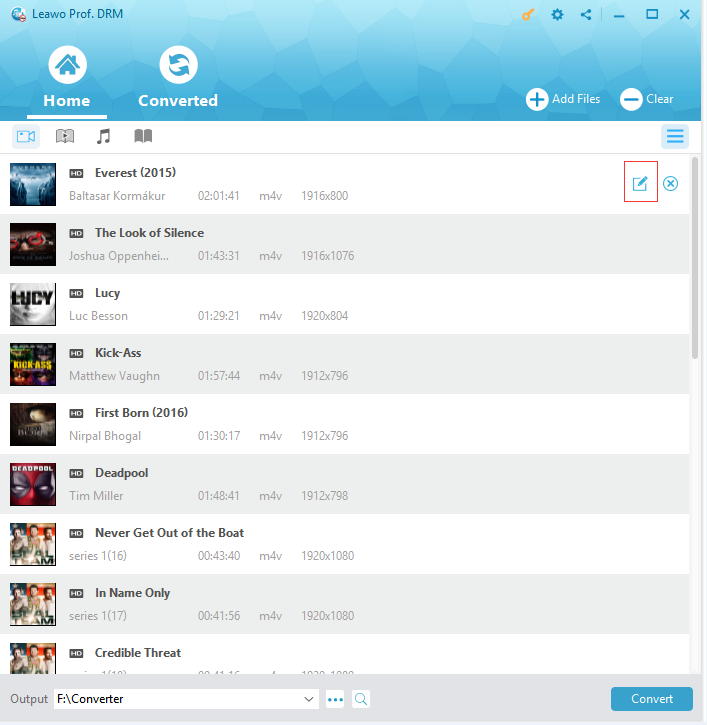 Download and install Leawo Prof. DRM on your computer before you start to remove DRM from iTunes M4V. If you are a Mac user, turn to Leawo Prof. DRM for Mac. After installing Leawo Prof. DRM, launch it. Please take note that during the running of Prof. DRM, you are not allowed to operate iTunes, and you need to authorize the computer for playing iTunes M4V files. Follow the step-by-step guide below to remove DRM from M4V files of iTunes. After entering the main interface of Prof. DRM, click “Add Files” button on the sub-menu bar. Then, on the popup window, open “Library > Video” tab successively and then choose the movies you want to cast to Chromecast. Choose at least one iTunes M4V file and click “Add” to begin importing iTunes M4V into Prof. DRM. Prof. DRM allows you to import all files at a single time by clicking “Add All” button. After loading iTunes M4V into Prof. DRM, choose a file and click “Edit” button to freely choose audio tracks and subtitles for keeping in the output MP4 video file. Move mouse to the bottom of the “Home” window and then click the “Output” button to set an output directory to save output DRM-free MP4 video files. Finally, click the blue “Convert” button at the bottom. Leawo Prof. DRM would start to remove DRM from iTunes M4V and convert DRM M4V to DRM-free MP4. The DRM removal happens in the background. You could view all converting process on the “Converting” window. After a while, the iTunes DRM removal and conversion process will be completed. After conversion completes, open the “Converted” tab to view all converted iTunes movies. You can click the “Open file” option at the end of a target file to open the output MP4 file. With iTunes movies converted to DRM-free MP4 files, you could now cast converted iTunes movies to Chromecast. Actually, Leawo Prof. DRM is far more than an iTunes DRM removal to remove DRM for iTunes videos and convert DRM iTunes videos to DRM-free MP4 files. It’s a comprehensive iTunes DRM removal tool that could convert DRM iTunes music, convert iTunes M4B/AA/AAX Audible audiobooks to DRM-free MP3 files. Therefore you could freely listen to iTunes music, iTunes audiobooks, and Amazon Audible audiobooks on any MP3 compatible player and device. What’s more, Leawo Prof. DRM is still a Spotify music tool that could remove DRM protection upon Spotify, download and convert Spotify songs, albums, and playlist to DRM-free MP3/WAV files. Without upgrading to the Spotify Premium that costs you $9.99 per month, you can listen to any music from Spotify offline on any device without being disturbed by ads. Now, with iTunes movies converted to DRM-free MP4 files, you could cast the converted iTunes movies to Chromecast to watch iTunes movies on your big screen TV. 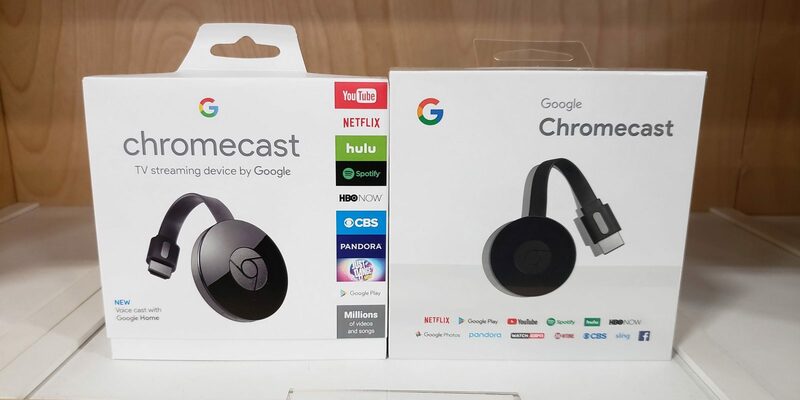 Chromecast works as not only a digital media player which supports most of streaming media, but also a powerful transmitter that can stream all the media content from your Mac/PC to TV. Follow the below guide to easily transfer the converted DRM-free iTunes movies to Chromecast for watching on HDTV. 2. After plugging Chromecast device to HDMI port on TV, follow the instruction page to set up the Chromecast app. Make sure Chromecast and your Mac/PC connected in the same Wi-Fi network. 3. 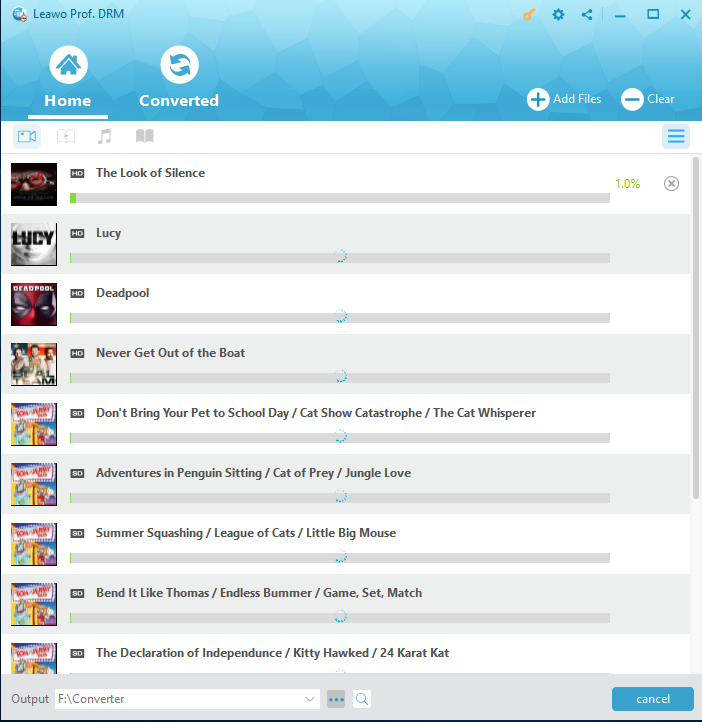 Install Google Cast extension in Chrome. 4. On your computer, open Google Chrome browser. Then download and install the Cast extension from Chrome web store. 5. 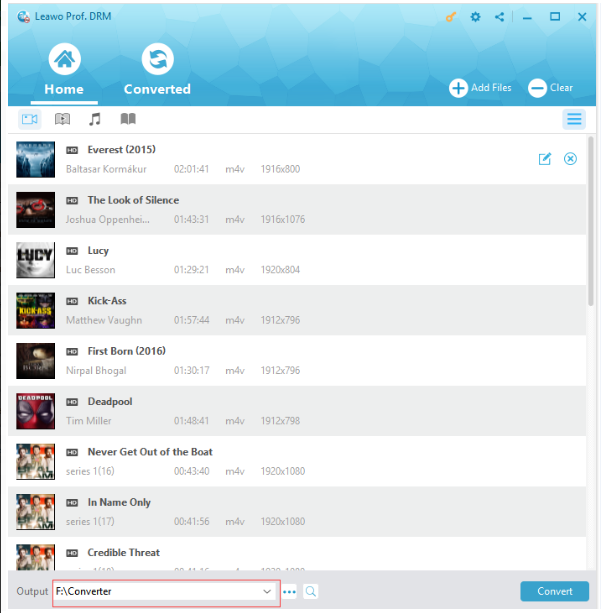 Now simply drag and drop the converted iTunes movies or TV shows from computer drive to the Chrome address bar to start playing the videos. 6. Then click on “Cast this” button in the Chromecast streaming menu from the right side of Chrome address bar. Magically, the iTunes movie you are playing will simultaneously appear on your TV as expected. 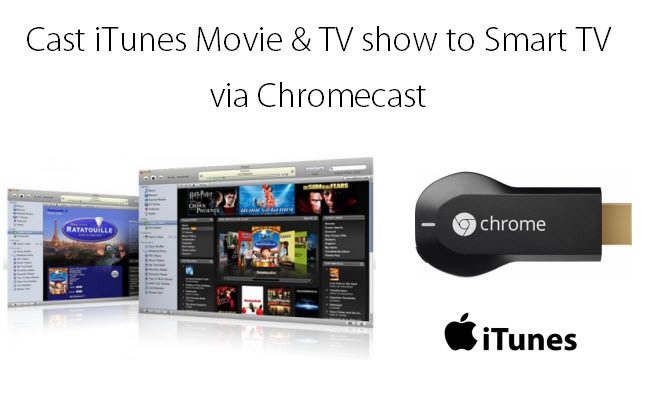 Now you have successfully casted iTunes movies to Chromecast for HDTV screen playback. Just enjoy it.